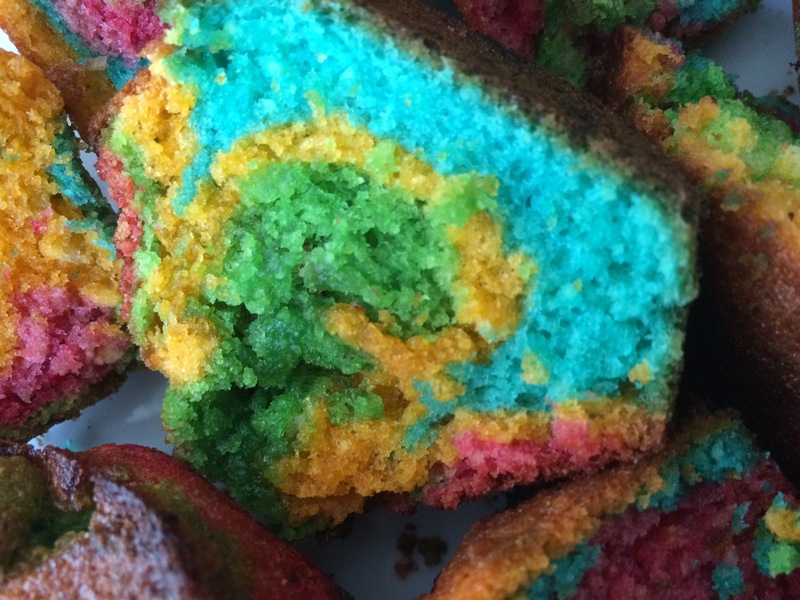 We all know that Vix is the Rainbow Cake queen, but my tween has decided she is going to give her a run for her money with her rainbow cupcakes. 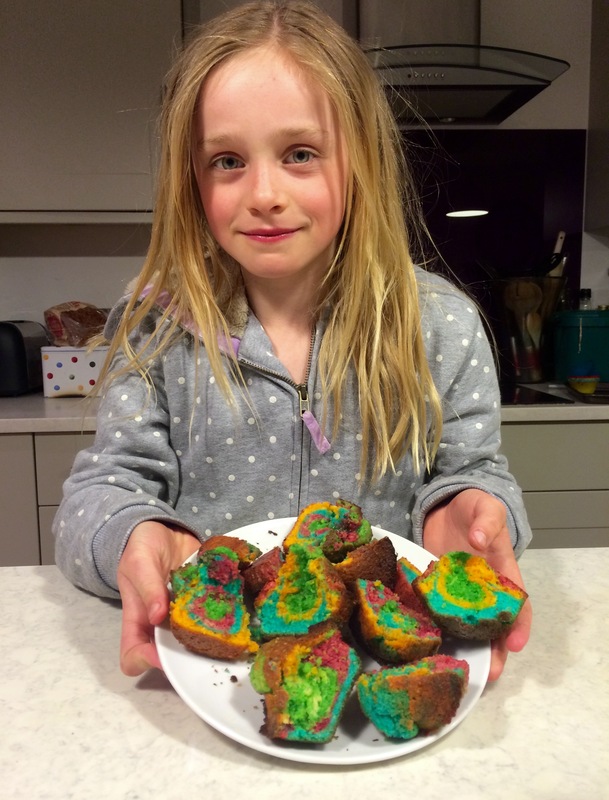 Her brother is away on cub camp, and she decided to bake! We’ve already seen her bake muesli bars, but this time it was a more complex recipe! 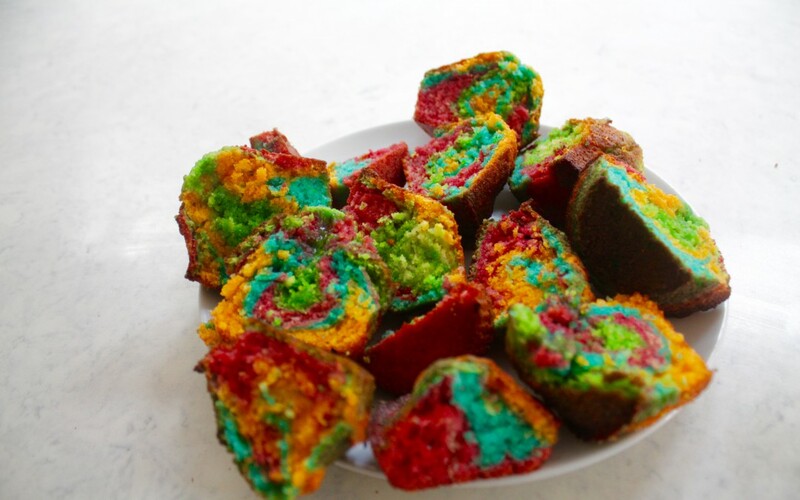 Not only has she written this recipe, she has decided to vlog it too, so make sure you watch her video! I am beginning to feel her scorn at my own baking (or lack of) efforts. 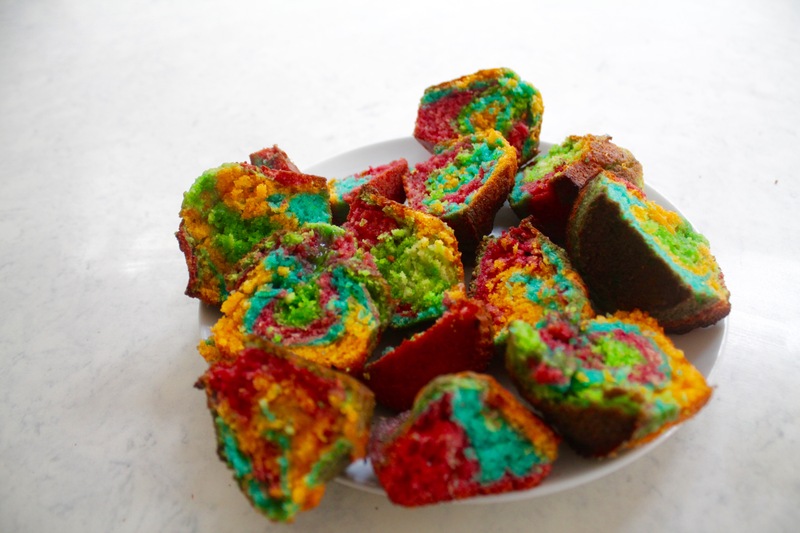 Here’s how she makes them, and watch her vlog for a tutorial! 2. 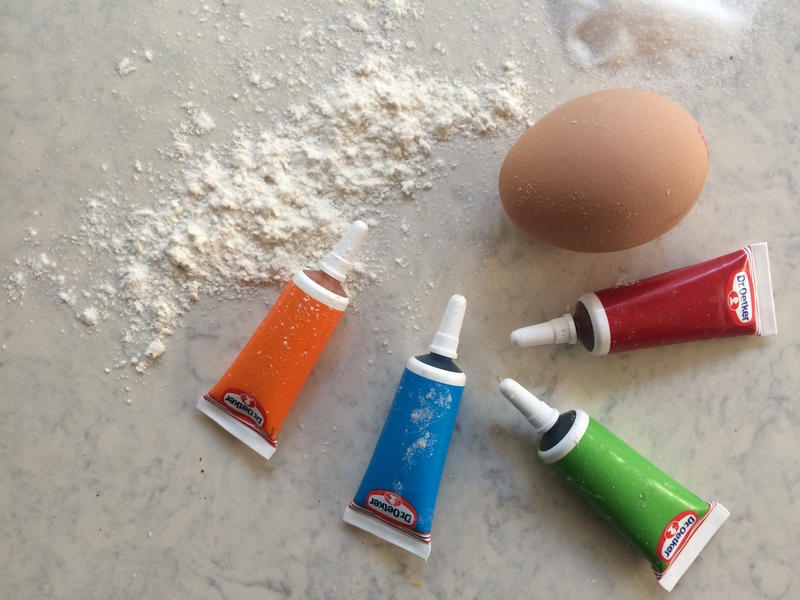 Beat the eggs, and add the flour to it. 3. Mix the flour / egg mixture to the butter and sugar mix. 7. Cook in a preheated oven (200 degrees) for 10 – 15 minutes. 8. After they have cooled, either ice as you please or leave. We made a vlog as well – please do watch!